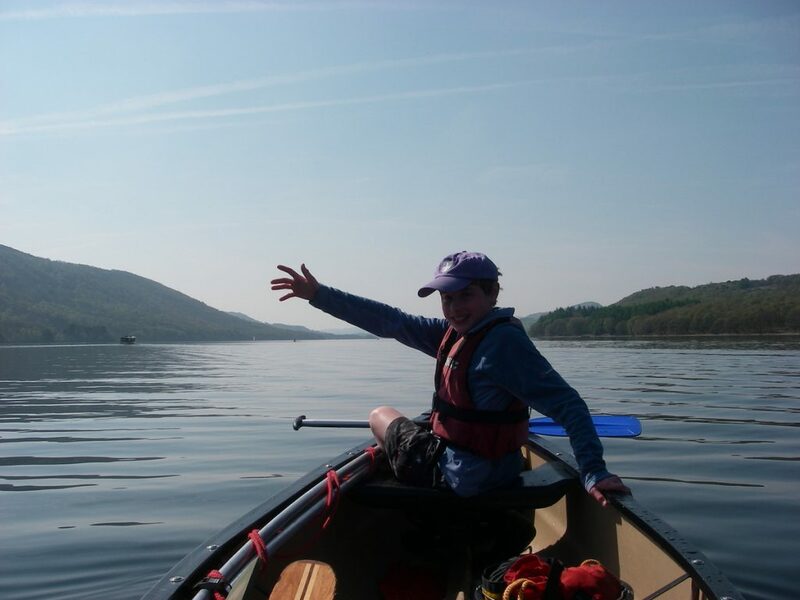 Open canoeing or Canadian canoeing uses wide stable boats and is a little like being in a rowing boat. 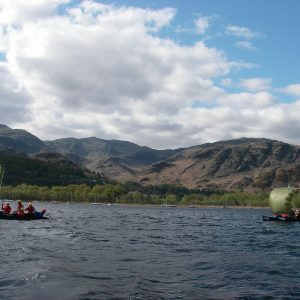 They are easy to propel (unlike rowing boats!) 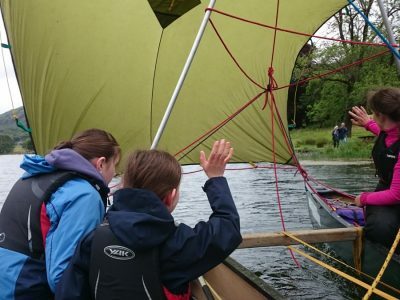 and with a little instruction, mastered in no time. 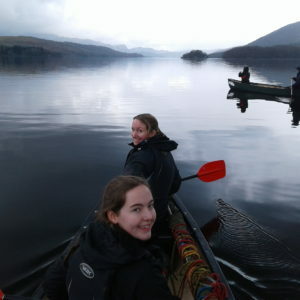 Canoeing is a really versatile activity. 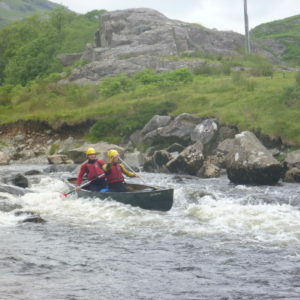 It can be energetic and lots of fun, or it can be a relaxed gentle activity. 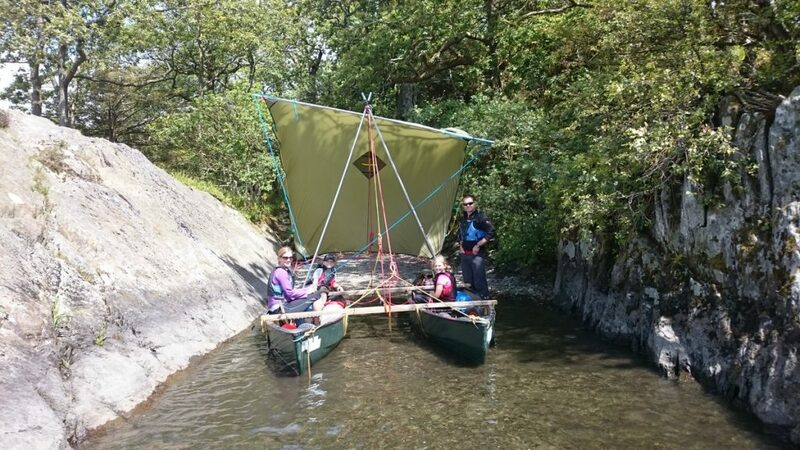 Either way, it’s perfect for groups to work or play together. 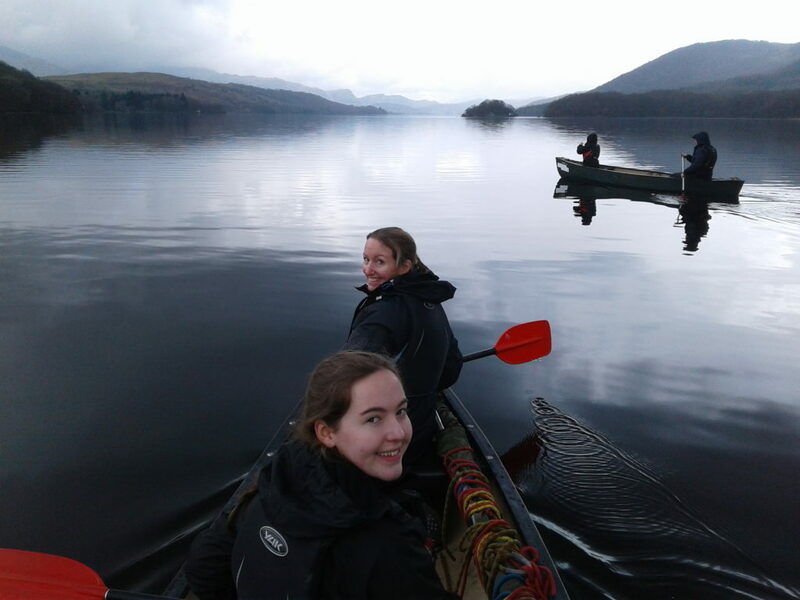 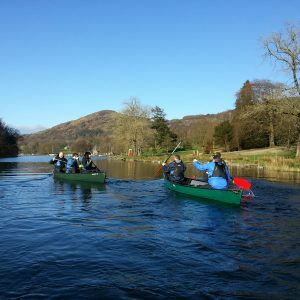 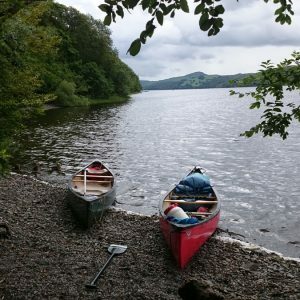 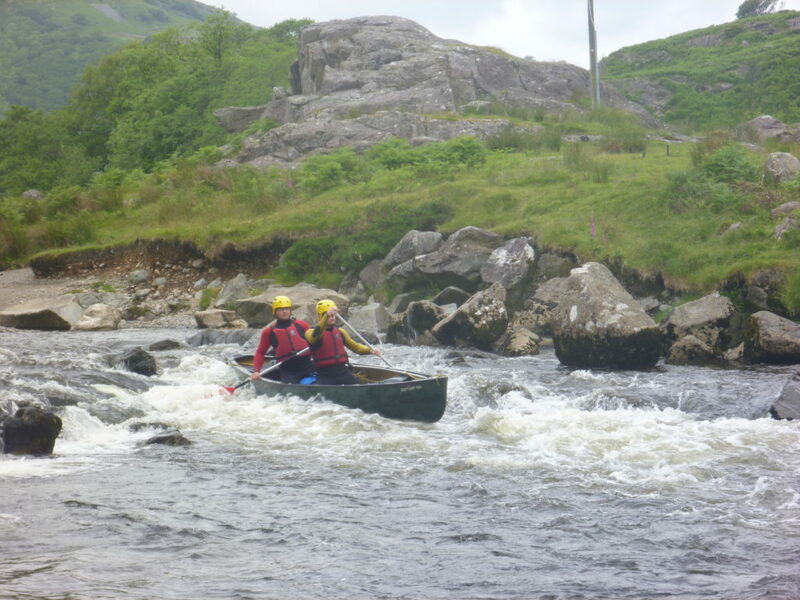 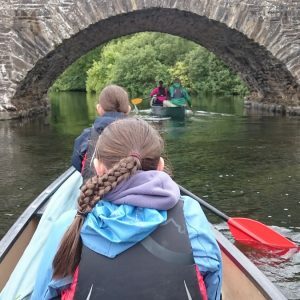 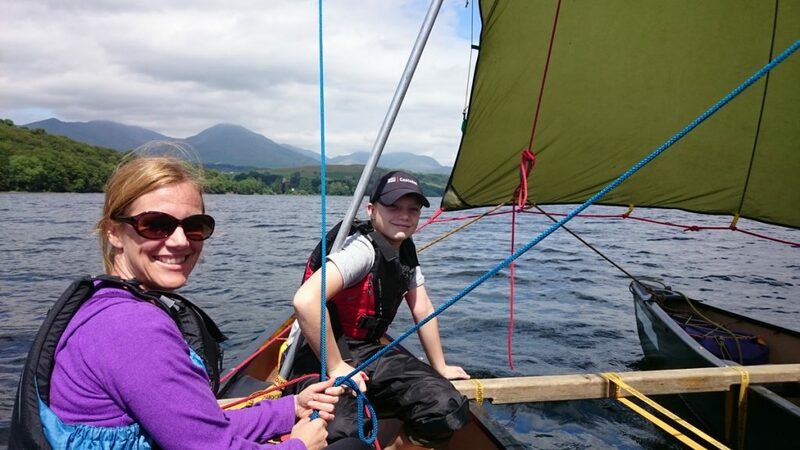 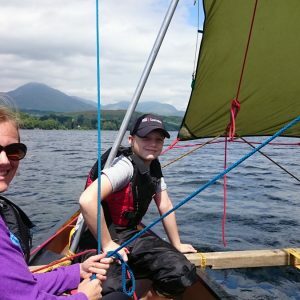 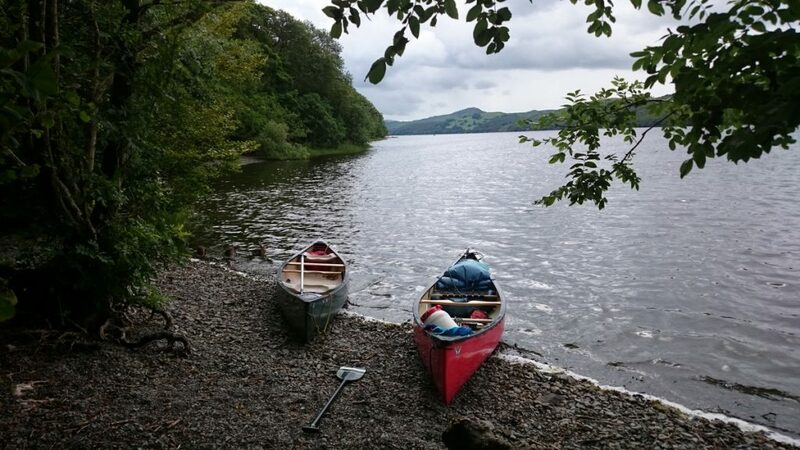 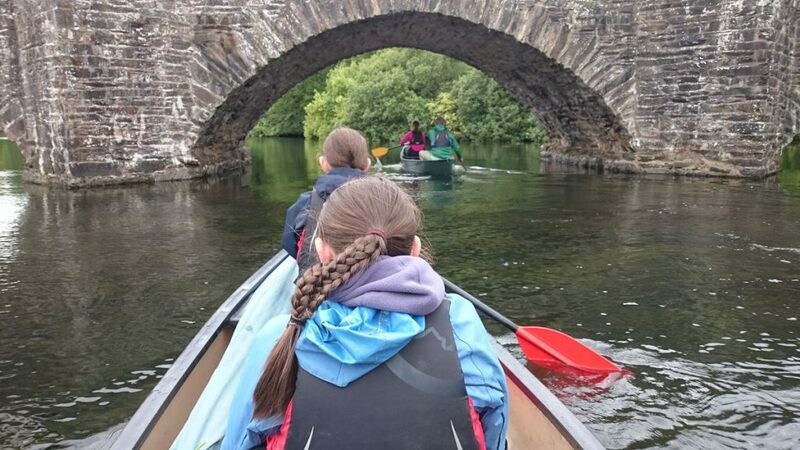 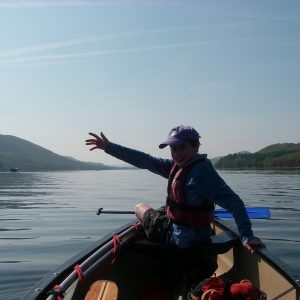 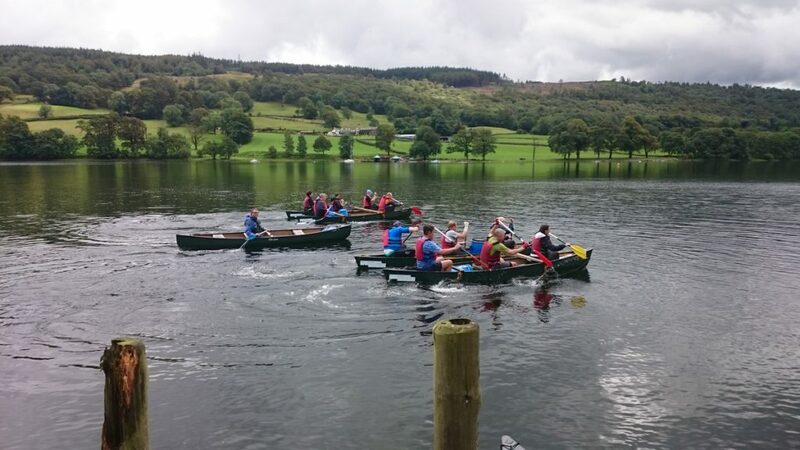 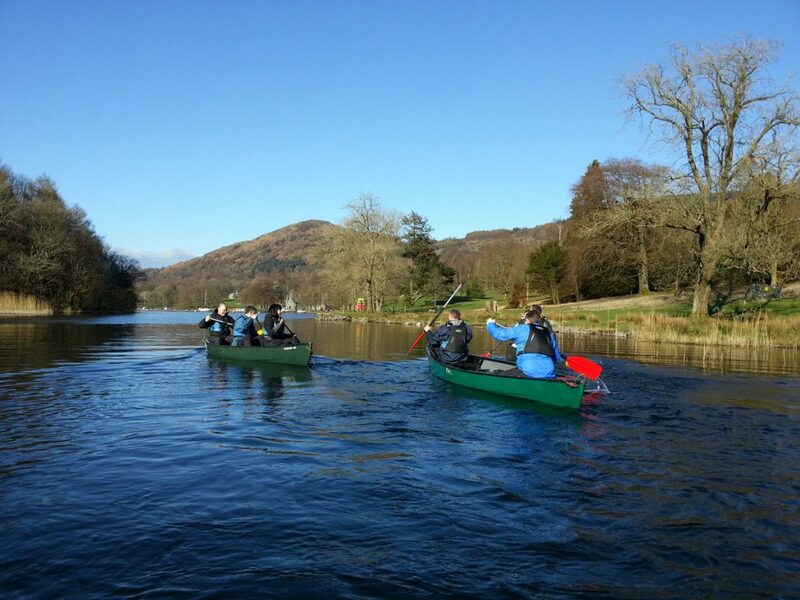 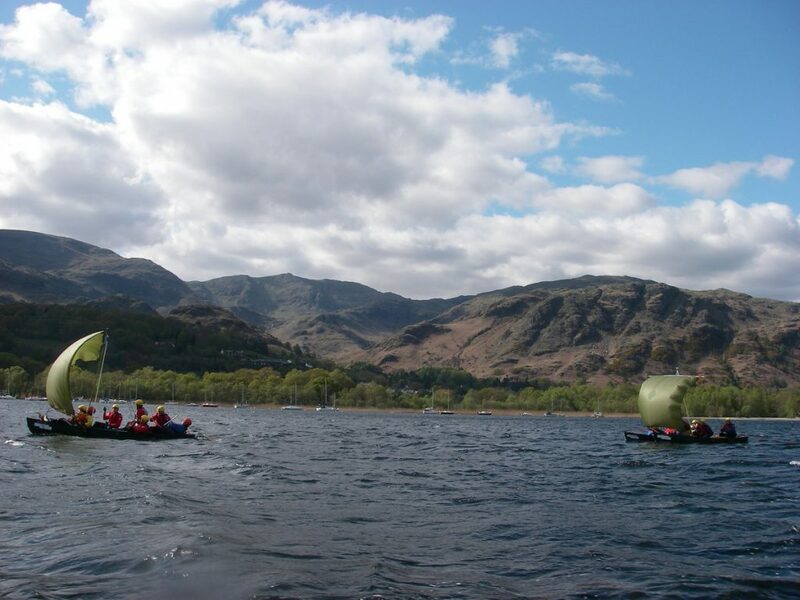 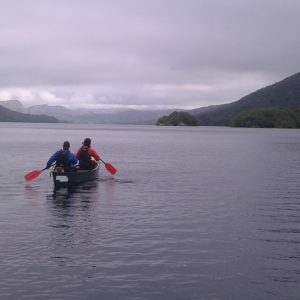 Our Canadian canoeing trips usually take place from the shores of Coniston Water where we have our own mini Swallows and Amazons experience. 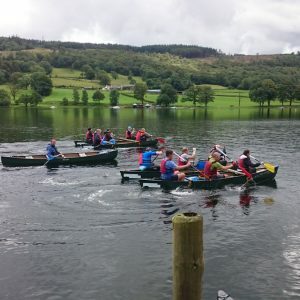 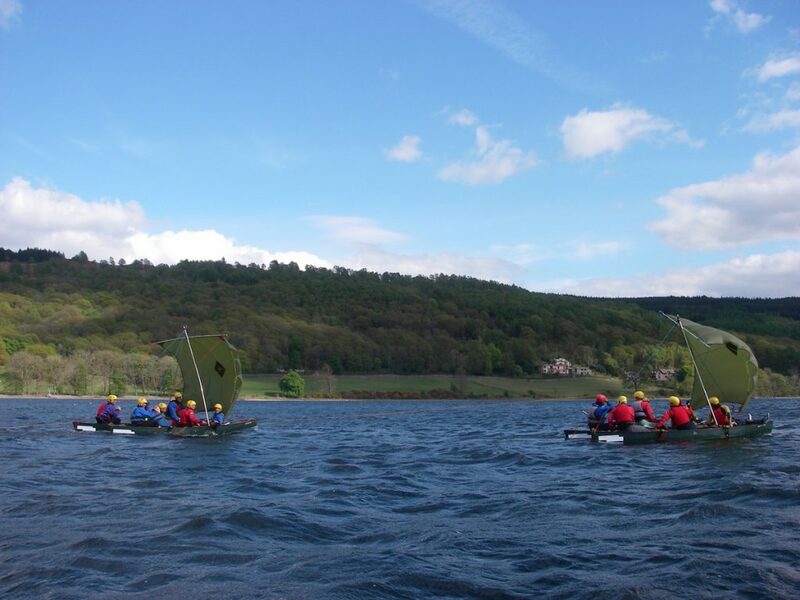 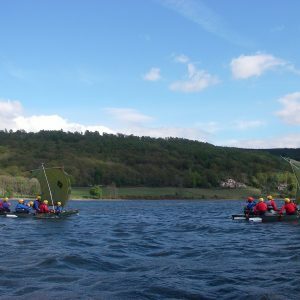 We often head south in separate open canoes with 2 or 3 people to a boat, maybe play games if there are children in the group, then raft the canoes together to enable us to sail them. 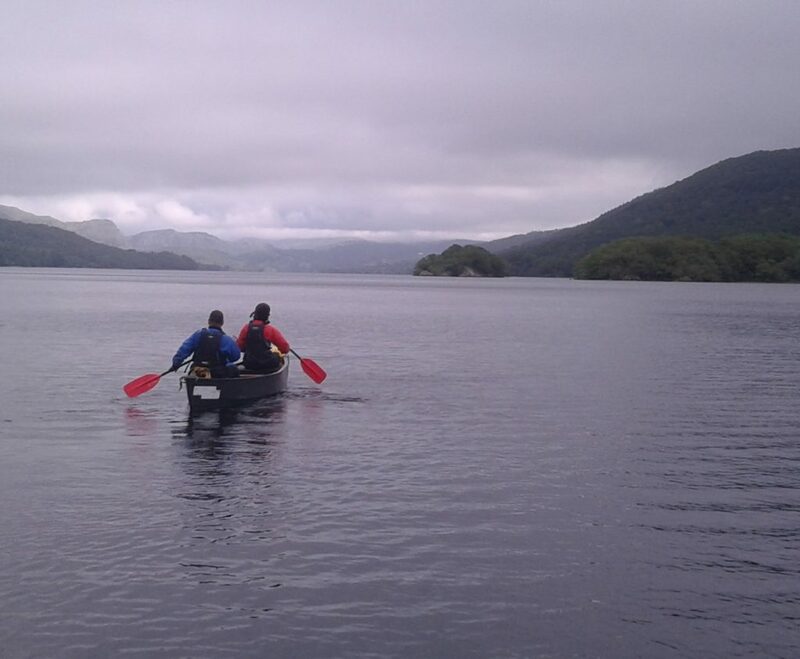 We may visit a jetty for some jumping in on nice days, and we always pause for some hot chocolate and to savour the view of the Old Man of Coniston. 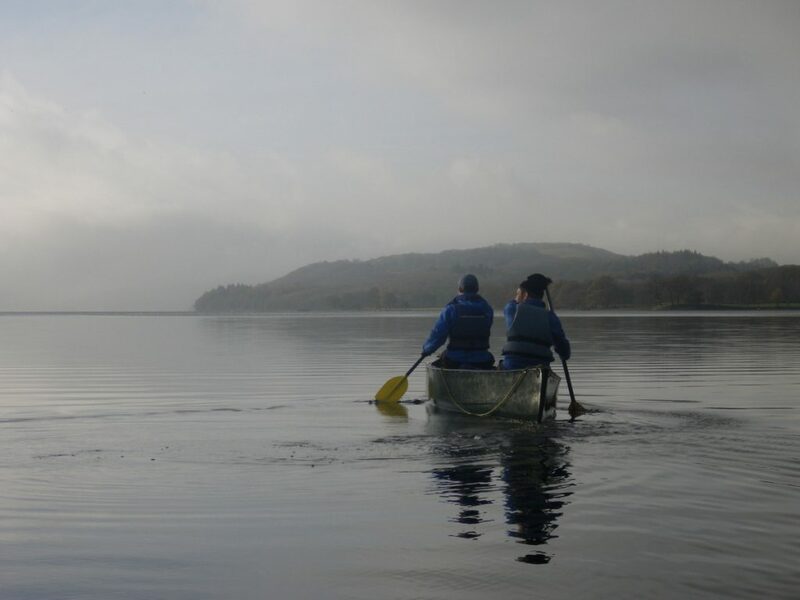 On a full day we can visit Peel Island, or Wildcat Island from the Swallows and Amazons book, find the secret harbour and explore an ideal adventure spot. 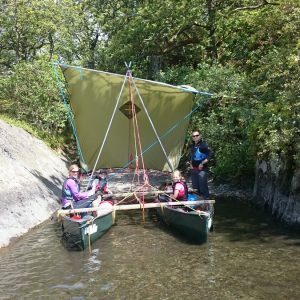 Our open canoes are extra wide for more room, and are especially designed to be extra stable and go in a straight line easily. 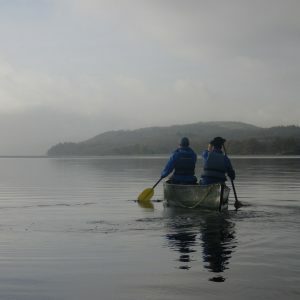 When canoeing you won’t go into the lake unless you want to, and there’s none of that tippy feeling you get with some boats.